The average person has 70,000 thoughts every day, and many of those thoughts trigger a corresponding emotion. No wonder so many of us often feel like we're controlled by our emotions. Our lives would be much improved is we controlled them. 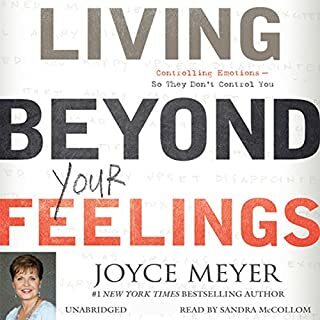 Joyce Meyer discusses the way that the brain processes and stores memories and thoughts, and then - emotion by emotion - she explains how we can manage our reactions to those emotions. Best book about feelings and controlling emotions. 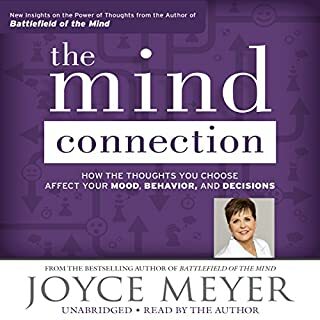 In The Mind Connection, Joyce Meyer expands on the wisdom of her best-selling books Battlefield of the Mind and Power Thoughts to explain how to improve the quality of your thoughts and your life. 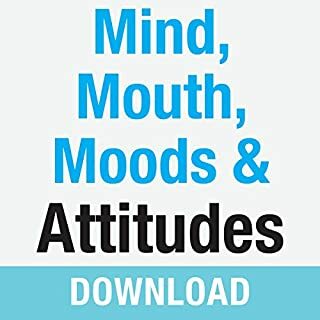 She explores the undeniable connection between the mind, mouth, moods, and attitudes so you can develop and maintain the right mental position - no matter what challenges you face. 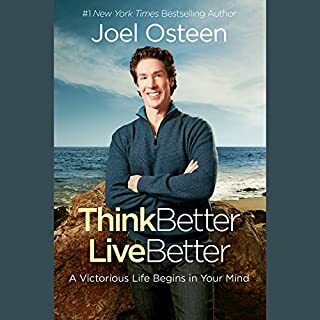 Through practical advice and scriptural insights, Joyce will help you learn to think with purpose, gain greater confidence, and claim the fulfilling life you were meant to lead. 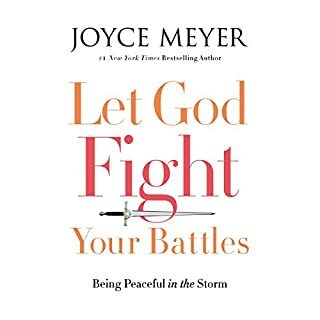 Based on her best-selling book The Battle Belongs to the Lord, Joyce Meyer delivers practical advice and biblical wisdom to help you triumph over any obstacle you face. By learning to lean on God's power, you'll be able to leave your fear behind and develop a life-changing sense of confidence. This compact edition is perfect for taking God's assurance with you everywhere you go. You weren't meant to walk through life alone. God wants to help with every single detail of your life. You may say that you love your family, your spouse, your church, or the Lord. You may also express love for temporal things like a good cup of coffee, your home, or a nice dinner at your favorite restaurant. But it is rarer to truly say "I love my life!" It's common to be more frustrated with life than at peace with it, because the daily grind wears you down. Responsibilities and burdens become heavy and rob you of the happiness you're meant to have as a child of God. But you can be hopeful, learn to rise above your challenges, and be filled with wonder at what God might do every day. 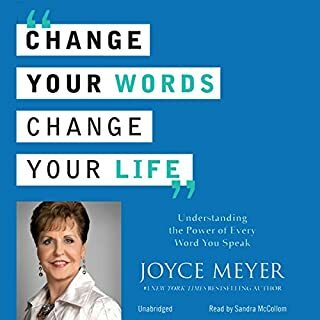 Building on the premises of Power Thoughts and Living Beyond Your Emotions, Joyce Meyer examines the tremendous power of words. - which are the vehicles that convey our thoughts and emotions - and provides a series of guidelines for making sure that our talk is constructive, healthy, healing and used to good results. In a "Dictionary of God's Word" at the end of the book, Joyce provides dozens of scripture verses, arranged by topic, that she recommends reading and saying out loud as one way of using and claiming healing words. Every person is uniquely, purposely, and lovingly created by God. But that doesn’t mean life is easy. We all experience hurts and hardships that can keep us from fulfilling our God-given potential and the destiny we were born to live. Is it possible to have peace in an uncertain world? To not only expect the unexpected but embrace it? Most of us want to have life under control. But God wants us to anticipate the unexpected with a faith deeply rooted in his goodness. He wants us to know that because he is in control, we don't have to be. 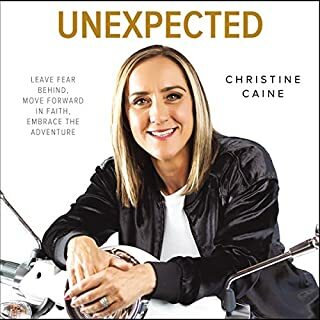 In Unexpected, beloved author Christine Caine helps us walk into the life God has for us - unknowns and all. Using dramatic examples from her own journey, Christine offers real-life strategies and biblical inspiration to help us move from fear and worry to hope and trust. There are a lot of personality tests out there designed to label you and put you in a particular box. 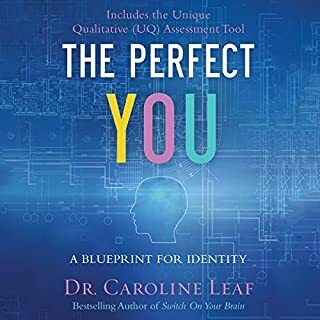 But Dr. Caroline Leaf says there's much more to you than a personality profile can capture. In fact, you cannot be categorized! 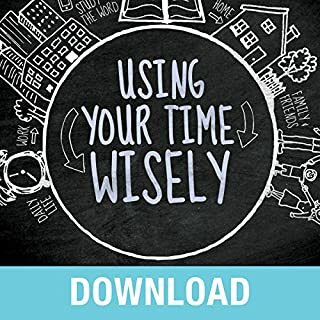 In this fascinating book, she takes listeners through seven steps to rediscover and unlock their unique "you quotient". 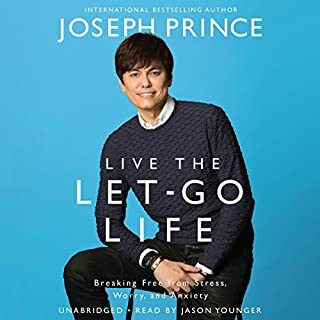 In Live the Let-Go Life, Joseph Prince shows you how to beat stress and anxieties that come with the everyday demands and pressures of modern living. Discover how you were not designed by God to live under stress but called to live the life of rest. You will learn how to let go of stress and see his grace flow unabated in the worry-free areas of your life. We all have 24 hours a day, seven days a week. So why is it that some people accomplish much more in their lives than others? In this four-part audio, Joyce will teach you how to focus your priorities on what is most important and accomplish your goals, so your life is more peaceful and less stressed. 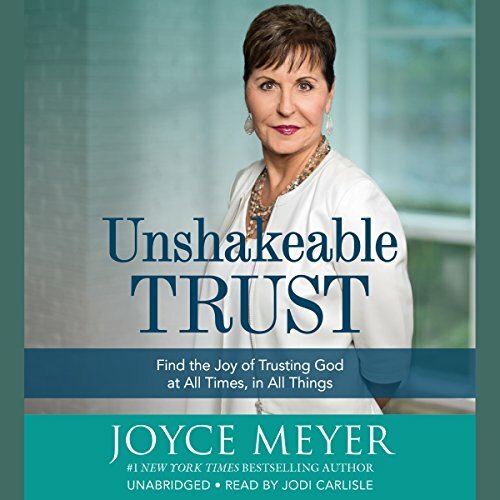 In her new book, New York Times best-selling author Joyce Meyer explores a life lived in complete and total dependence on God. 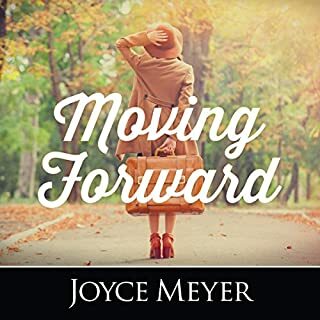 Drawing on her own experiences and inspiration from the word of God, Joyce makes the case that in every area of your life - spiritually, relationally, emotionally, financially - you can trust that God has your very best in store. With each new chapter, Joyce unveils a sovereign and trustworthy God who longs to be in a relationship with his people and inspires you to tear down the walls of self-reliance. 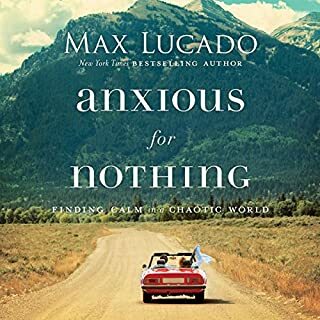 This book will both equip and encourage, as you learn how to "trust in the Lord with all your heart and lean not on your own understanding". Regardless of your past pain, your present circumstances, or your future uncertainty, when you learn to trust God each day, you'll experience the joy-filled life Jesus came to give you. Others may have let you down...but God never will! Excellent teachings from Joyce Meyer. It would have been better if she had narrated the book herself. Good content, but reader style is weak. 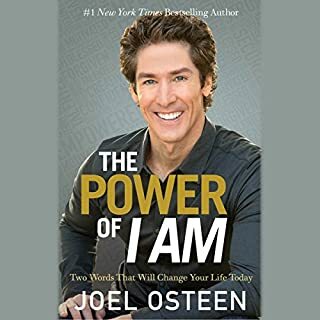 I love Joyce Meyer’s messages and content, but the reader for this particular book leaves a lot to be desired. While I’m sure she has good intentions, her overall performance is monotone and dry. More intonation and spirit when reading would make this much better. Loved it! just what my weary soul required ! I will return to it again and again until I have truly absorbed and applied God's truth within it. Need a push to ACTIVE practical faith? 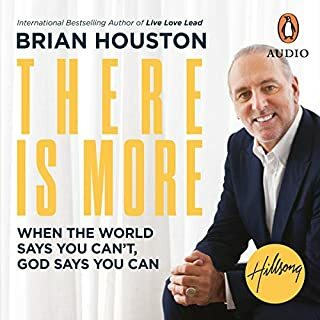 If you are looking for something to meet you where you are to inspire you to a deeper ACTIVE practical faith in your relationship with God, this is helpful! 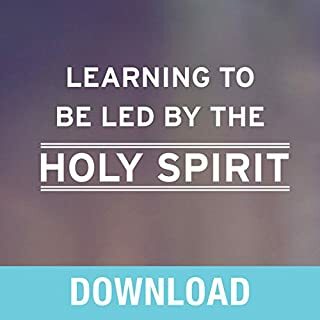 Joyce bluntly and lovingly illuminates the human hiccups we don't see in our own selves, calls things what they are, and challenges you to deeper personal obedience to God with NO EXCUSES! These are things we need to hear over and over throughout our lives--at least I do. No matter where you are in your walk with Christ, this book will inspire and encourage you! about myself, and about my life circumstances. that I'm facing now. 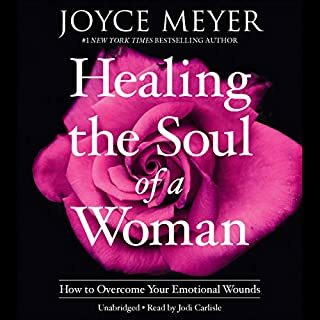 All I can say is , Thank You, Joyce Meyer for this book and Battlefield of the Mind. They have truly been instrumental in giving me insight into God's great love, My first love is Him. My maker is my husband, and He can be relied on and trusted. This book, Unshakeable Trust is a "must have" for the saints of God to read and study for just a closer walk with Jesus. The message in this book explains so much in the way life reflects God's mission. I so enjoyed listening to this book. I know I will listen over and over again. Joyce brings out God's wisdom. This book is so full. I know still, however, that I will need to meditate on His word to truly benefit from this book! FANTASTIC! Thank you, Joyce, and thank you Jesus! 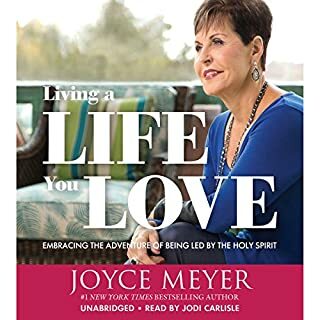 I love Joyce Meyers & the book, but. . . .
As the title of this review says, I love Joyce Meyers, AND her books - including this one, but I could barely handle listening to the person that (she?) chose(n) to do the reading/narrating of this book. When I read Joyce's books, I can easily hear her voice narrating the book in my head because she writes in exactly the same way that she speaks, however the person that was chosen to read this book aloud was way too sing-songy/Disney character/old fashioned phone operator/Donna Reid, sounding to me. It was BEYOND distracting because I was like this is NOT how Joyce sounds, nor how she speaks, the cadence and emphasises were all wrong. I could not focus on the actual substance of what was being said because I was SO distracted by her voice. Don't get me wrong, the narrator has a very nice voice, and I am sure she does a wonderful job on other books, but for me, this was absolutely the wrong book for her to narrate. 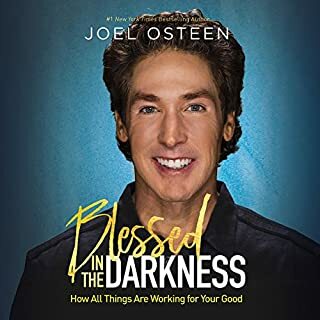 Maybe it was because I read the introduction to this book as well as the first chapter BEFORE I decided to get it on audible, and once I did -uuuugh!!!! -Just way too distracting. Maybe it's just me, but I love the way Joyce sounds - it's down to earth, real, honest, and not so syrupy sweet and stepford wife, phony, sounding. I personally love it when authors who are also well-known and/or celebrities read their own books, OR at the very least finds someone who sounds like them and/or who at the very least knows the authors cadence, voice inflections, etc... it makes for a very pleasant experience. So my final say is that I hope that I can get used to this narrators voice soon or I just wasted my money. Again, the narrator is fine, but just not for this book, in my opinion.